From the three-station home office to the 1,200-person business park, our ability to design and deliver a seamless, people-ready office environment is unparalleled. 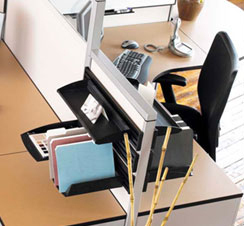 Your office surrounds you for the best part of every work day. 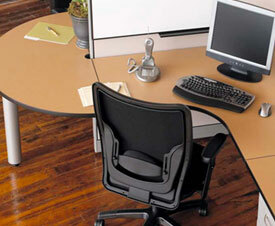 The position of a desk, the comfort of a chair, and the degree of lighting all enhance quality work. With our design through delivery process, Facility Works will create an efficient, productive workplace for every employee. In addition to office interiors and ergonomics, we help you determine exactly what your office requirements are, and then we structure an environment to accomplish your goals –with the least amount of downtime. What's our competitive advantage? Experience and efficiency. What's our promise to you? You'll receive the right product, in the right quantity, in excellent condition, at the right destination, at the right time.